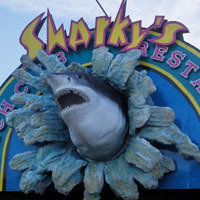 Panama City Beach offers an amazing dining experience for it’s vacationers. You won’t find a more eclectic array of restaurants, chefs and dining atmosphere anywhere else. Once you’ve tried the “Jack Daniel BBQ Ribs” from Pineapple Willy’s or “Playa Fish Taco” from Spinnaker’s Cantina and Tequila Bar, just a few among a wide range of food, you’ll know you only nibbled the tip of truly grub-tastic dining. There’s a new restaurant in Panama City Beach. This isn’t just another buffet, it’s a locally prepared Seafood feast directed by acclaimed Chef, Paul Stellato. And it’s all waiting for you! Open to everyone, The Wharf Seafood Buffet is located at Laketown Wharf Resort and is ready to serve, and please, your appetite for breakfast and dinner! You’ll find nautical-themed indoor dining, or sit by the lake on Laketown’s 50,000 square foot boardwalk! 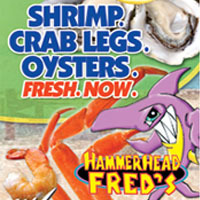 A new seafood restaurant, with a heralded theme from the past, is now open on Panama City Beach. 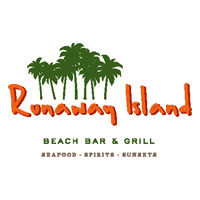 Runaway Island Beachfront Restaurant and Grill is 2 floors of local seafood specialties, live entertainment and frosty drinks all with a breathtaking view of the Gulf of Mexico. Plans for this unique restaurant have been in the making for over 20 years by locals who know fresh seafood and Panama City Beach. The restaurant boasts over 12,000 sq. ft. of dining space, but the crowning achievement is the outdoor deck complete with a boardwalk that extends all the way to the shores of Panama City Beach. Totaling over 6,000 sq. 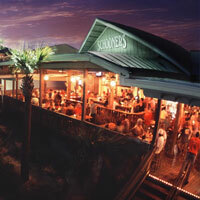 ft. of wood, the outdoor deck lets you take in the Florida sun and landscape of the “World’s Most Beautiful Beaches”. All while you sit back, relax and enjoy. 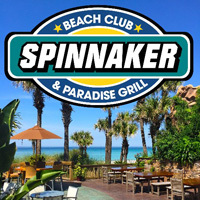 Spinnaker Beach Club is home to the largest party during Spring Break and the hottest place to be in Panama City Beach. 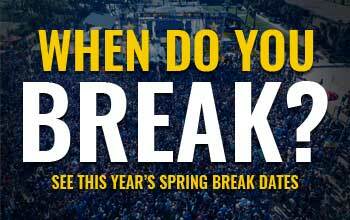 From the nation’s biggest touring bands and DJs, to world-famous celebrities, Spinnaker is The Spring Break Hot Spot! Thousands of sun-bathing college students stake their claim on the sugar white sands behind Spinnaker and come inside to our the Waterfall Stage to take part in the biggest daytime party in Panama City Beach, the World Famous Mega Beach Party! Celebrating it’s 10th Anniversary during Spring Break 2016, Spinnaker’s Mega Beach Party, hosted by emcee Das Beachhouse and DJ Elemnt, is packed full of wild contests, free giveaways and huge prize packs. From Noon to 5pm everyday you’ll hear the best and newest High Energy EDM and Top 40 Tracks from around the world! When the sun goes down, the nightclub fires up with Four DJs and Live Music from the Nation’s hottest Touring Bands! The dance floor stays packed as you vibe to your favorite Top 40, Country, Rock, EDM, Hip Hop and Party Tracks all the way til 2am! Whatever type of party experience you’re looking, we have it here for you at Spinnaker!